The new year provides the perfect opportunity to take stock, set goals, and plan ahead. While you can make all kinds of resolutions ("This is the year I'll get in shape—really! "), those that focus on your finances could provide the biggest payoff. "Resolutions give you a point in time where you can say, 'Am I doing what I need to do? And if not, what can I do differently?'" Walter Klisiwecz, a past president of the Financial Planning Association of Northeastern New York, says. Whether your goal is to start an emergency fund, pay down credit card debt, or save for a down payment on a house, there are steps you can take now to achieve it. "I tell people that saving is a great habit to develop, even if it's for modest amounts," Klisiwecz says. "The best way to save toward a specific goal is to set up a system you don't have to think about," Klisiwecz says. Have your bank automatically transfer money from your checking account into a savings or investment account after each pay period. If you don't see the money, you won't have the urge to spend it. "Most people can adapt to whatever income comes through the door," Klisiwecz says. "By automatically transferring money into savings, you're forcing yourself to live on a little less." Get smart about money by educating yourself through articles, books, seminars, and websites. Focus on your goals, and find out if there are any benefits available to you that you might not be taking advantage of. "Talking to your employer is a great place to start," Todd Minear, an independent certified financial planner with Open Road Wealth Management in Kansas City, Missouri, says. "Find out how the 401(k) plan works, and ask about a Health Savings Account, which can be triple tax-exempt." Checking accounts, ATMs, and credit cards may come with hidden fees that can add up over time. "The key is awareness," Klisiwecz says. "Take a close look at your financial statements to see where your money is going." Avoid withdrawing money from ATMs that charge a transaction fee, switch to a bank that has no minimum-balance requirement, and cancel credit cards that charge an annual membership fee. What about late-payment or overdraft fees? "These are symptoms of being overextended or not paying attention to your money," Klisiwecz says. Get organized by setting up automated payments as much as you can so you don't fall behind. For a little help to stay on track, use online tools or apps that send you alerts when you hit designated limits. Take advantage of your company's 401(k) retirement savings plan if you haven't already. And if there's a company match, contribute enough to secure it—typically three percent of your income. "The company match is like getting free money," Minear says. Consider increasing your contribution each year by one percent if you can, he suggests. If you don't have a 401(k) plan, consider opening an IRA or Roth IRA—or a SEP IRA if you're self-employed—and contribute as close as you can to the maximum that the IRS allows. Calculate your net worth, and take steps to protect assets like your home. "Taking inventory is like stepping on the scale," says Klisiwecz. "It lets you see how you're doing." Make sure you have the right insurance in place—whether it's renters, homeowners, or life insurance or a personal umbrella policy. "Take a home inventory by making a video tour of your house," Minear suggests. "If you have a fire or theft, you'll be able to prove what you have." Protect your online accounts by having strong passwords, and back up electronic information on an external hard drive that you store in a fireproof box. 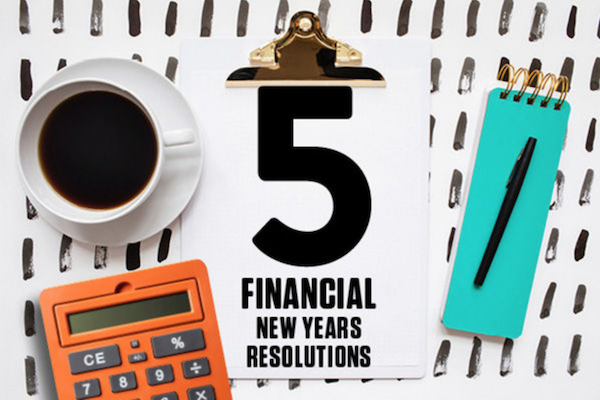 While the new year is always a good time to step back and reassess, "any time is good for taking charge of your financial future," Minear says. "The sooner you can get started, the better." The new year is a good time to make sure you're well protected. Get a free quote for auto, homeowners, or renters insurance on Geico to see how much you could save.